Like a jagged finger on a gnarled hand, the kingdom of Cornwall juts outwards from the south west of England, pointing accursedly at the Atlantic Ocean and those countless souls that lost their lives to the fickle sea. Shipwrecks, smugglers, devils, and giants, the tales from this region have them all. On a dark night, the Cornish folk would gather around their hearths and tell each other stories as dark as the shadows that flitted around their cottages in the dim firelight. Stories were used to give warning to the eager fisherman who set sail in bad weather, or to the wayward traveller making his way across the headland alone. Was that sound a daemon approaching, or just the wind howling through the treetops? Did that church bell toll the hour, or knell the approaching doom of an unfortunate soul? And what was that lantern glimmer on the cliffs over yonder? 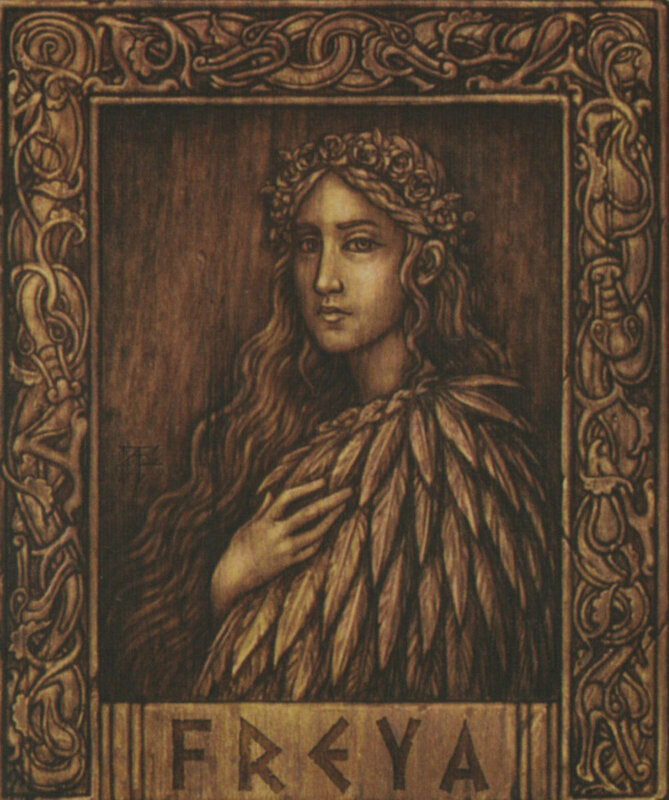 Come closer, reader, and hear some folklore from the Celtic land of Cornwall that will haunt you forever. 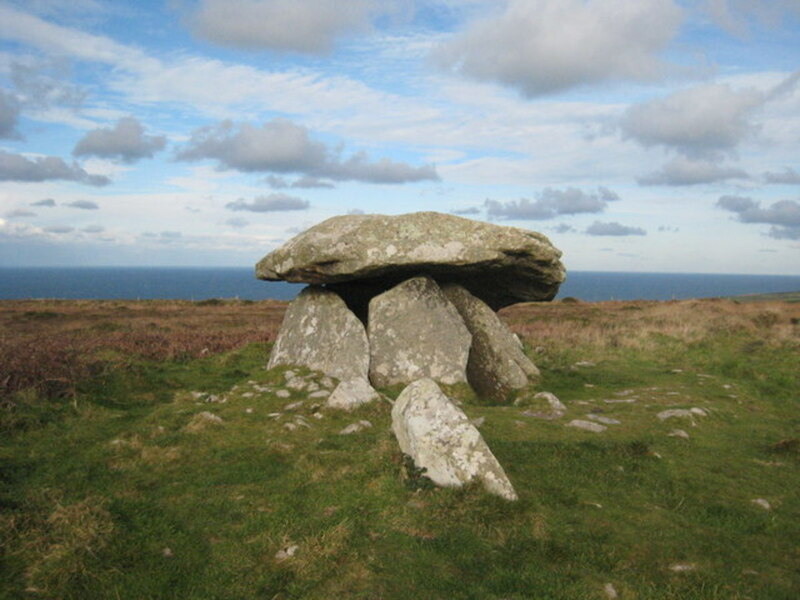 The Cornish landscape is littered with standing stones and burial sites, and Woon Gumpus Common, near St Just, is famed for such antiquities. Known as The Gump, imaginations have run riot over the years with stories of the spirits and piskies that claim this land as their own. The ancient landscape of this area was avoided by night-time travellers who feared the spirits of those that dwelt before them. If any journeys were to be made, instructions were given to stick to the roads, no matter what. The Gump was believed to be haunted by the souls of those sinful people that dwelt in the land before the arrival of Christianity. Unable to enter heaven, these became wights who were bound to the places where they were buried so long ago. No living man wished to encounter one, or incur its wrath by trespassing upon land claimed by the ancient dead. The wights were the least of their worries though. There are many myths about the Devil roaming these wild parts of Cornwall, seeking souls to drag down to the fires of Hell. The Gump is no exception. Joseph Blight wrote in 1861 of old half-starved horses that wandered the common. Likely set loose by their former owners, the poor beasts ended their days eking out an existence on the moors. They soon turned feral. All matted fur and ribs and rolling eyes, it is no wonder that they were said to be ridden by the greatest of fiends at night. The Devil himself would take to riding these horses, in a crazed hunt to catch souls. His captives would be taken back with him to Hell. Men would flee him, and catch themselves against a stile as their pursuer closed the gap. Unable to climb over in time, these stricken souls were doomed. In Cornish folklore, the Devil is believed to frequently use this tactic, in an attempt to catch souls before they reach the consecrated grounds of a church. 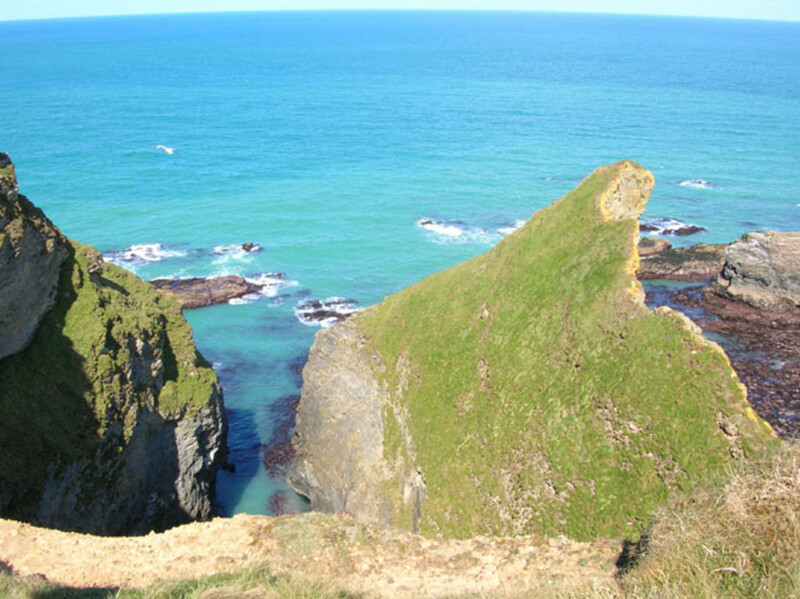 On the northern coast of Cornwall, near the town of Portreath, dwelt a giant named Wrath*. His home was found within a great cavern in the cliffs, which was accessible only from the sea.The locals named this spot "Ralph's Cupboard". The cave was situated at the base of a very tall and steep cliff, and could not be accessed from the land. If any wanted to reach it, they would have to get there by sea. With the giant ever watching for approaching ships, none ever dared to explore the lair for the giant had a taste for human flesh. Wrath would sit in wait for any passing ships, and attack them for their crew and cargo. Sometimes he would stir up great waves with his arms, tipping or sinking his chosen vessels, or else he would wade out to sea and pluck the ship out of the water. If a boat sailed too near to his cave, he could just reach out and grab it like a child with a bath-toy. The giant would take his spoils back to his cupboard, and store his plundered loot in great piles at the back of the cave. Any crew he captured would be his dinner. The desperate locals grew tired of losing ships and men to the wicked giant, and to avoid his grasp, changed their routes so that they would sail past this section of coastline in waters that were far too deep for Wrath to wade out into. Enraged that he was denied his spoils, the giant would throw great rocks at the passing seafarers. This was to be Wrath's demise. Giants are not the most quick-witted of creatures, and Wrath had unwittingly weakened his cave by removing boulders from its sides. One morning, whilst in a remarkably foul mood, Wrath took up a great rock and lifting it in both arms, hurled it at a passing fishing-vessel. Unfortunately for him, this particular slab of rock was supporting a great deal of weight of the cavern above. With a loud crash, the roof of his dwelling collapsed, burying Wrath and his treasure beneath. His reign of terror was done. If you ever visit Portreath, you can still see the remains of Wrath's home near Reskajeage. Low tide reveals the boulders that the giant hurled at unfortunate sea-farers. If you're very lucky, you might even find a coin or two from his treasure hoard. *In a varying account, the giant is named Ralph. Jan Tregeagle was said to be the most wicked man in Cornwall. He served as a magistrate in the early seventeenth century, and became a wealthy man by robbing an orphan of his estate by forging papers, leaving the poor child destitute. When judging those that came before him, Tregeagle would not serve justice, but instead dished out sentences that would amuse or benefit him. Good men were doomed to hang, whilst the guilty walked free in exchange for a hefty bribe. As long as Tregeagle benefited from the arrangements, he corrupted the law to suit himself. As a rich and powerful man, there was nothing anyone could do to stand up against him, and if they did, something ill would befall them so that they would no longer make themselves a nuisance to the corrupt magistrate. Upon his death, it is said that Jan Tregeagle was afraid to pass over as he knew that the Devil was waiting to take his soul. There was no peace for him in the afterlife, for the weight of guilt in his heart would see him sinking down to Hell. When the time came to read out his last will and testament, there was a great dispute due to the fraudulent manner in which Tregeagle had taken his estate from the cheated orphan. Matters were taken to court. When the judge was about to sum up the proceedings, one of the parties asked for a witness. The restless ghost of Jan Tregeagle himself was summoned, to the shock of all of those gathered. The shadowy apparition of this wicked man appeared in the witness stand. Some fled the court in fear, but the judge wanted to see justice done and calmly questioned Tregeagle. Hooping to earn a place in Heaven, the phantom admitted to his fraud, allowing the judge to give a verdict in favour of the defendant. The estate was restored to its rightful owner. This act was not enough to free Tregeagle from Hell, but it was decided that in return for this good deed in admitting to his crime, a punishment on earth was in order to spare him from the fires below. The judge decreed that Jan would be set a task for all eternity which would keep him safe from his wicked master. 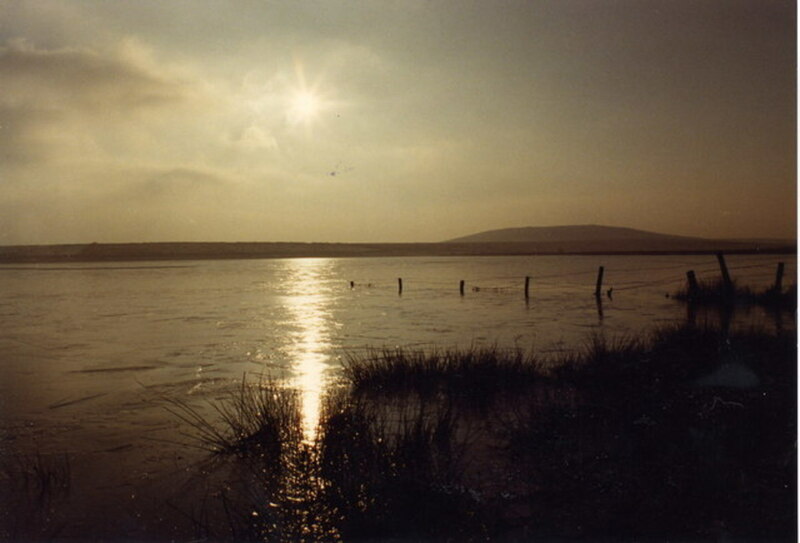 Jan Tregeagle’s spirit was sentenced to empty Dozmary Pool with a limpet shell. Believed to be bottomless, this small lake on the remote Bodmin Moor would keep Tregeagle’s ghost busy enough, and would keep him away from the good folk of Cornwall. The condition of his sentence was that if he ceased his task, he would be left to the mercy of the demons who would drag him back down to Hell’s fiery furnaces. Tregeagle gladly accepted his punishment and was bound to Dozmary Pool, until many years later a storm tore across the moorlands. Dozmary Pool’s waters were whipped up into waves as the wind howled and the rain lashed down across Bodmin Moor. Taking the storm as an opportunity to escape, Tregeagle fled from the pool to Roche Rock. As soon as he left the edge of the waters, the servants of Hell were on his trail, their cries and howls mingling with the winds and din of the storm. Tregeagle could hear his pursuers drawing ever closer, and made for the chapel of St Michael. Trying to get in through the east window, Jan Tregeagle desperately made a bid for sanctuary in this Christian refuge. However, his entry was barred by holy powers, and his head became stuck through the stained glass whilst his shoulders would not pass through the window. Here he was wedged fast with his head inside the church, and body left exposed to the storm and clawing demons. 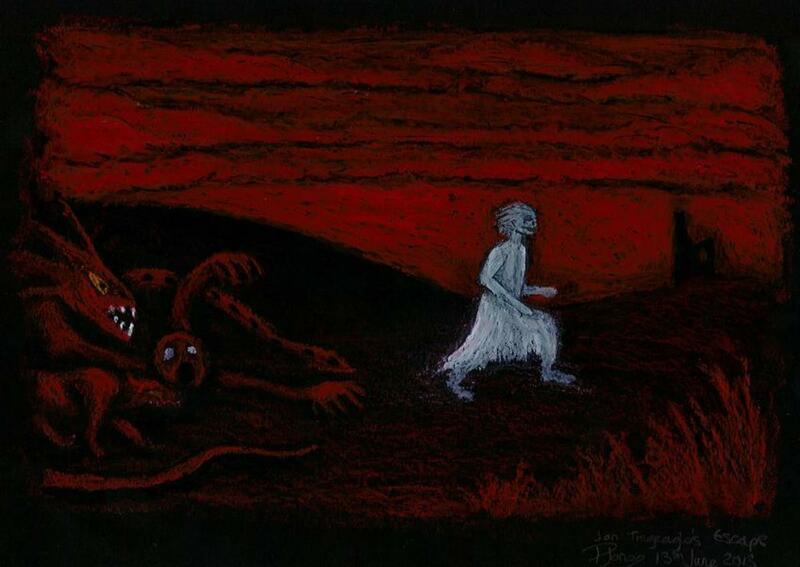 His howls attracted the local priest, who discovered the spirit of Tregeagle in this manner and the demons outside. With the help of two saints, the demons were banished and the Tregeagle was banished to Gwenver Cove where he was given a new task to keep him busy for eternity. He was set to weave a rope from beach sand, and then take the completed rope to Carn Olva. Yet again, Jan Tregeagle escaped his torment. One winter’s night, he completed his task by pouring water over the rope, which then froze solid. Unfortunately for him, a group of local holy men gathered around and set him a new task of weaving the sand rope on condition that he was not allowed to approach water. 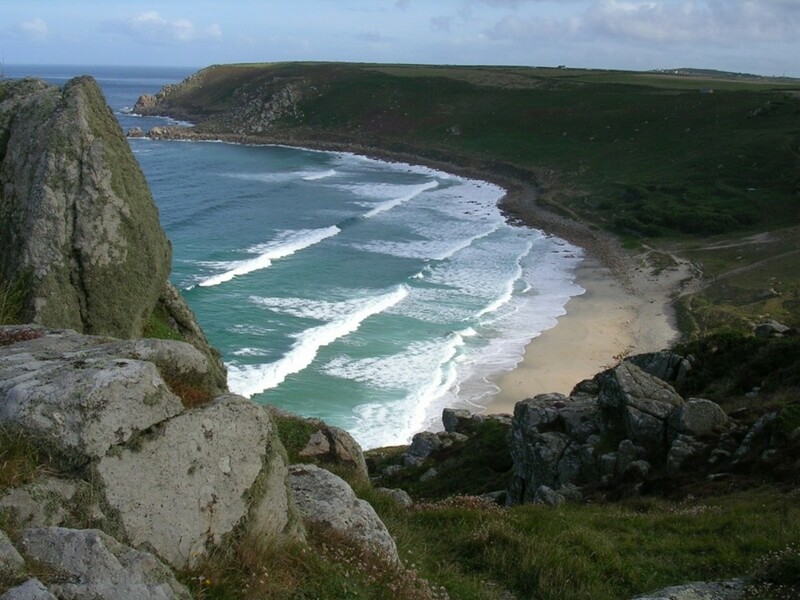 To this day, Jan Tregeagle’s spirit is bound to Gwenver Cove, near Sennen. On stormy nights, his howls of torment are said to be heard over the moaning wind which blows his rope apart, scattering the grains of sand across the Whitesand Bay. There are many variations of this tale, and some say that you can hear the tortured howls of Jan Tregeagle over Bodmin Moor. This version has been associated with Pagan legends of the Wild Hunt, where wicked spirits are hunted down to be destroyed forever. Perhaps this would be a more merciful fate for Jan Tregeagle’s spirit than what awaits for him in Hell. Having been cheated of a wicked soul, the Devil has a special sort of punishment in mind once he captures his prize. Just Who are the Cornish? English, or not? 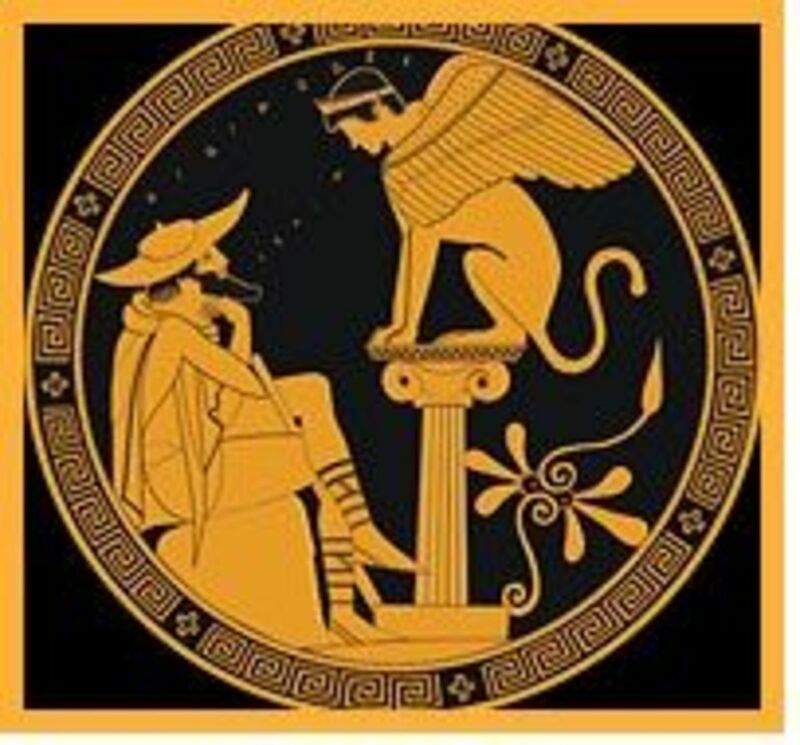 Take the Easy Greek Mythology Quiz! A lot of people that love to visit the place have been buying up the properties, and over-inflating the house prices. It's pretty rough on the people that live there; employment is not so easy to find, and house prices push many out of the towns they grew up in as they can't afford to buy the homes there. I am sure I saw something about a car parking space in St. Ives purchased for over £30,000! I hear it's really expensive to live there now, like all seaside places are anymore. I did look into visiting for a month and a simple bedsit was more than I pay for rent for a 1 BR apt. here. Still, it would be worth it to live in such a beautiful place. There was a lot of that. Unfortunately, it was more often the Barbary pirates taking away the occupants of a town to sell as slaves! 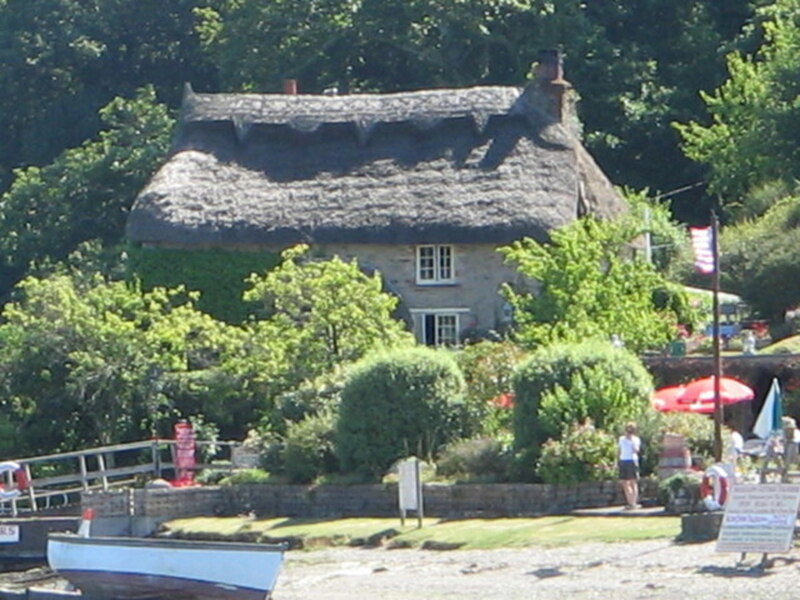 But that's another topic for another Hub, I'm sure :-) Cornwall is really beautiful, you'd love it there. I've always wanted to visit Cornwall and learn about the pirates. Sara Sarwar Riaz, I am so glad that you enjoyed the read. Thank you for your lovely feedback. I thoroughly enjoyed reading this article. You narrated the folktales with amusing and meticulous detail. Thanks Carolyn, I really enjoy producing articles that feature spooky stories. They're always fun. Love this one! And I always love it when your own illustrations are added :-) Upvoted and shared! Thank you so much, Asalexander! I enjoyed reading this! Very interesting! Brian, that made me laugh out loud! Very good. Thanks AliciaC, and I am so glad that you enjoyed the stories! Thank you for sharing the interesting and entertaining stories, Pollyanna. This is an enjoyable hub! Great storytelling Polly...and brilliant title! Jodah, thank you so much! 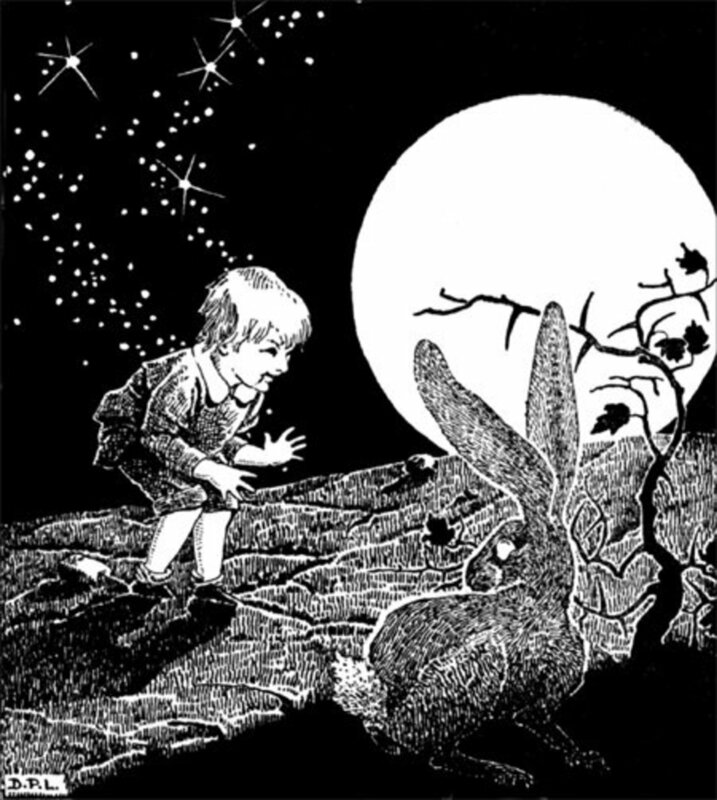 I love folk tales from other countries Pollyanna, and this didn't disappoint. It was a thoroughly entertaining hub. Voted up. It's a little tongue-in-cheek! There's a family tradition to have a cream tea whenever we go down there, so I could not resist bringing a hint of that into the article somewhere. It is a beautiful part of the world, and I love the stories to be found in the region. Thank you for commenting, Colleen! Wow, what a title, Cornwall is the mystic county for great stories and characters. Great article. Thank you dahoglund, it is very kind to leave such a comment. There are many more stories from this region, and I intend to write about more of these in the future. There is definitely a sense of fun to them, despite the darker themes.